There is not public awareness of the negative effects of light pollution as there may be on other more well-known sources of pollution, such as atmospheric pollution or water pollution. 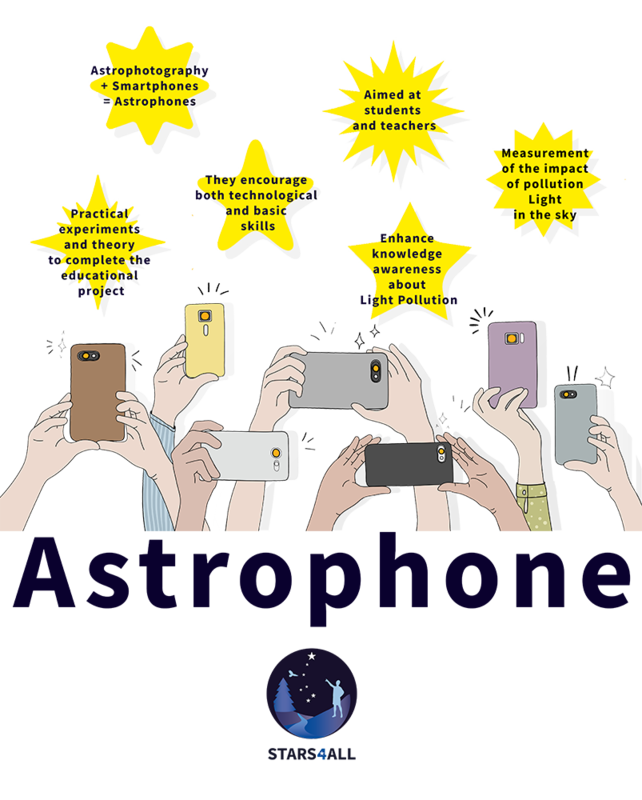 Through this project it is intended that citizens understand the scope of the effects that light pollution in their lives and the environment through two disciplines very attractive to the general public: Astrophotography and smartphones. With this practice material would be obtained to measure the quantity and apparent luminosity of the objects that the photographs contain and to contribute data on the impact of the Light Pollution in the sky and in the different areas of the life and the environment. This main activity would be supported by a series of practical and theoretical initiatives to reinforce the knowledge acquired. Initially it is aimed at students, but it can also provide a lot of added value and teaching materials to teachers. A crowdfunding campaign will be carried out in order to take the project to the classrooms. The coordinator of this project is Dr. Idafen Santana.